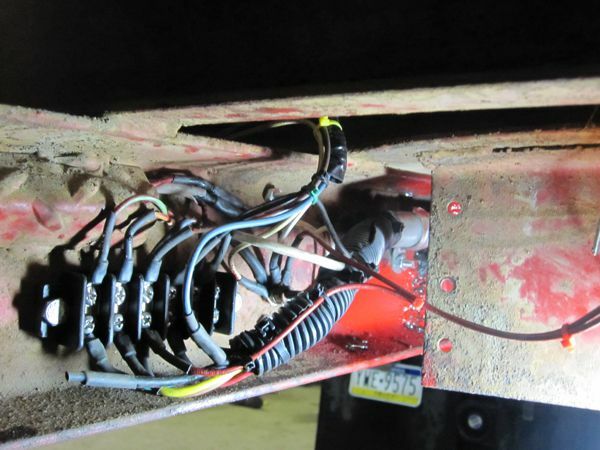 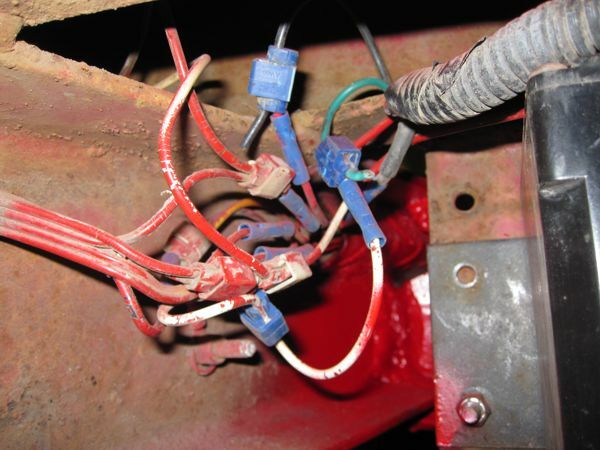 The wiring on this trailer was difficult to trace and was in a jumbled mess. 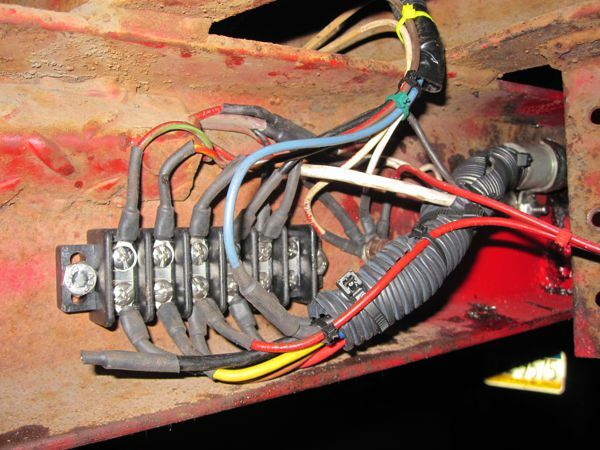 A new terminal strip was installed to manage the connections from the trailer side to the vehicle connection cable. 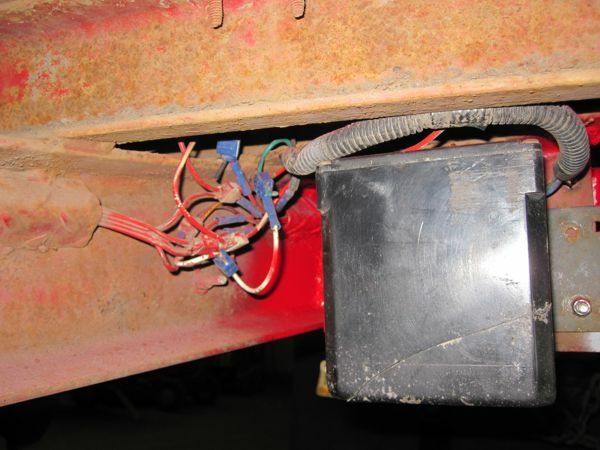 A new break away battery system was also installed. 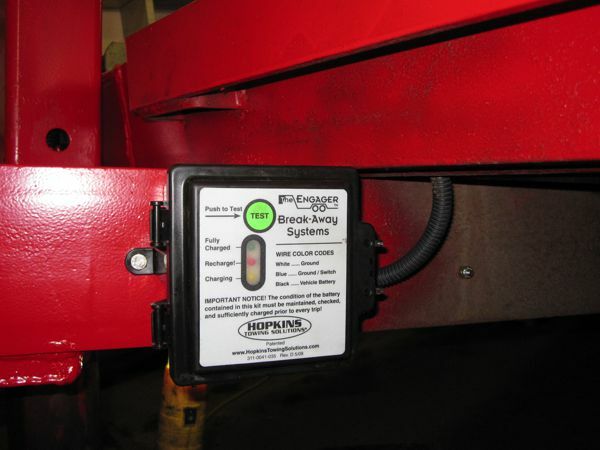 New break away battery installed with system indication lights.